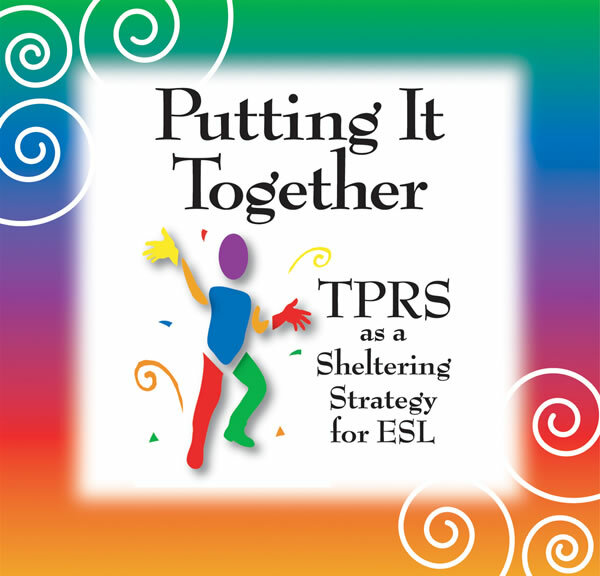 The first TPRS Curriculum for adult and secondary English Language Learners. The 200 page Teacher Guide is a comprehensive curriculum for teaching English to beginning through low intermediate adult and secondary English Language Learners using TPRS. The Teacher Guide includes suggested gestures, questions, commands, and mini-scenarios for each target vocabulary phrase in each story. The chapters are divided according to the adult competencies of consumer economics, health, community, housing, and employment. Cultural connections and additional activities are also included. The Student Book has 45 stories including pictures, listening, reading, and writing activities for beginning to low intermediate adult English Language Learners. The first chapter builds basic vocabulary for beginners through TPR and the following 9 chapters are divided according to the adult competencies of consumer economics, health, community, housing, and employment. Each chapter includes a 4 block picture for 4 mini-stories and one main story, in which all the new vocabulary and structures of the four mini-stories are recycled. This is the translation of the popular English student book. The pictures are the same, but the stories have been modified to be culturally and linguistically accurate for adult Spanish classes. El propópisto de Todo junto es proveer un currículo comprensivo para enseñar español a adultos no nativos usando el método de TPRS. This 42-minute video illustrates the 3 basic steps of TPRS with English language learners in lower elementary, upper elementary, secondary and adult classrooms. The three steps are thoroughly illustrated and explained. Teachers in the video use the TPRS method in grade level science, social studies, and language arts classes. English Language Learners are featured in pull-out, sheltered and mainstream classrooms. Beth Skelton narrates the video, explains the steps and guides the viewer through the method. World language study at the high school level is nearly always about learning a particular language and infrequently about learning how language plays a role in our lives. To complement the usual focus on learning one language, students of the Leysin American School created a set of exercises designed to increase awareness about language in general, exploring by way of simple activities questions like: Can a language make us sexist? The activities may be most appropriate for an international school setting in which students generally speak a number of different languages. 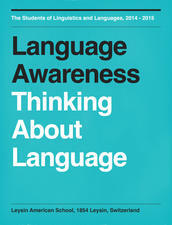 In the second half of the book, the students reviewed online sites for language learning, based on their own experience.